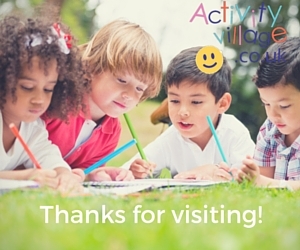 Enjoy Activity Village's Diwali colouring pages! We've got all sorts of original Diwali-themed colouring pages for you below, including a girl making a rangoli, children watching fireworks and Bhaiya-Dooj colouring pages and colouring cards to give to your brother or sister. We've also got a set of lovely detailed colouring pages illustrating the story of Rama and Sita, big and bold colouring pages of the characters associated with the story as well as some of the Hindu gods associated with Diwali, and a lovely new set of rangoli colouring pages! We hope you will find something to suit classroom and home, and all ages, here. 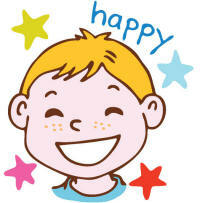 At Diwali there is a day of the celebrations set aside especially for brothers and sisters. Sisters look after their brothers and cook for them, while brothers give their sisters gifts. Here's one of two colouring pages specially created for Bhaija Dooj. Brothers can let their sisters know how special they are for Bjaija Dooj with this fun Diwali colouring page! The Indian Diwali celebration includes a day devoted to brothers and sisters, called Bhaiya-Dooj, Bhai Dooj or Bhaidooj. Specially for Diwali, here's a fun colouring page for younger children featuring two children lighting diya to encourage the goddess Lakshmi into their home. This lovely Divali colouring page shows two children surrounded by diya lamps, lighting the way for the goddess Lakshmi to find the family's home! 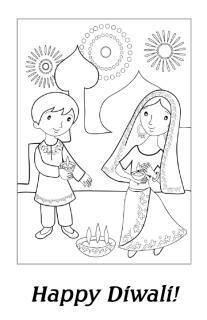 Here's a simple colouring page for Diwali featuring a brother and sister playing in the garden, designed for younger kids. 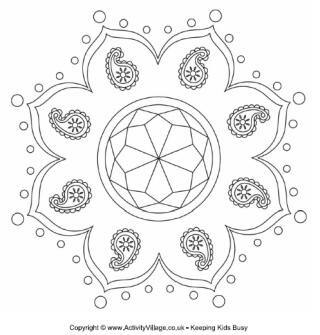 This pack of Diwali door hanging colouring pages were used in this Diwali door hanging craft. Known as "toran", these door hangings are usually symmetrical and made up of colourful bands and drops. 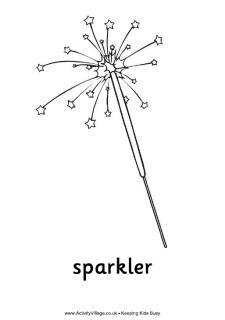 Here's a fun colouring page for Diwali! There are fireworks in the sky being appreciated by the children in the picture - the Diwali celebration is going off with a bang! It is traditional at Diwali and other celebrations to decorate the house with beautiful, colourful wall hangings, with added beads and mirrors and sparkle. Grab your brightest pens, glitter and embellishments and let the kids go to town on this diwali hanging colouring page! Colourful cloth, bead and sequin decorations adorn the house at Diwali and other celebrations. This Diwali hanging colouring page has been designed so that the kids can cut it out when they have coloured it. How about putting a whole border of them in beautiful colours up as display? Kids can print and colour in this simple diya for Diwali celebrations. Diyas are oil lamps which are lit to encourage Lakshmi, the Hindu goddess of wealth and prosperity, to enter the home at Diwali. Here's a colouring page of Ganesha, or Lord Ganesh, one of the Hindu deities. He is the elephant-headed god of wisdom, education and success, and is worshipped at Diwali. In this delightful Diwali colouring page for younger children, a young girl paints an intricate rangoli design at the entrance to her house to welcome visitors and the goddess Lakshmi. Third in our series of colouring pages depicting the Diwali story, in this picture, Hanuman the monkey king, who has befriended Rama, has helped Rama defeat Ravana in a mightly battle and the royal couple are reunited. Here's a simple outline colouring page of the monkey king Hanuman, who helps Rama defeat the wicked Ravana and rescue Sita in the story of Diwali. Here's a stunning Divali design to colour in to celebrate the Festival of Light. Print and enjoy this colouring page of Lakshmi, the Hindu goddess of welath and prosperity, traditionally encourage into homes at Diwali by bright diyas and pretty rangoli designs. In our final colouring page depicting the story of Diwali, Rama and Sita, now reunited, return home as their land rejoices. Such is the joy that everyone lights oil lamps and places them to welcome the royal couple safely home. One of a series of colouring pages depicting the Diwali story, this Rama and Sita colouring pages shows the couple wondering in the woods before they are separated by the evil Ravana. Print and colour this Rama colouring page at Diwali. Prince Rama was a great warrior and conquered the evil Ravana, who had kidnapped his wife, Sita. Here's a colouring page of the evil Ravana with his ten heads and twenty arms. He kidnaps the beautiful Sita and is finally defeated by Rama and Hanuman in the story of Diwali. The demon king Ravana tricks Rama into leaving Sita alone, and then he captures her and takes her off in his winged chariot. The quick-thinking Sita leaves a trail of her jewellery for her husband to follow. Second in our series of colouring pages telling the Story of Diwali. A collection of cards to print and colour for Diwali and Bhaija Dooj.